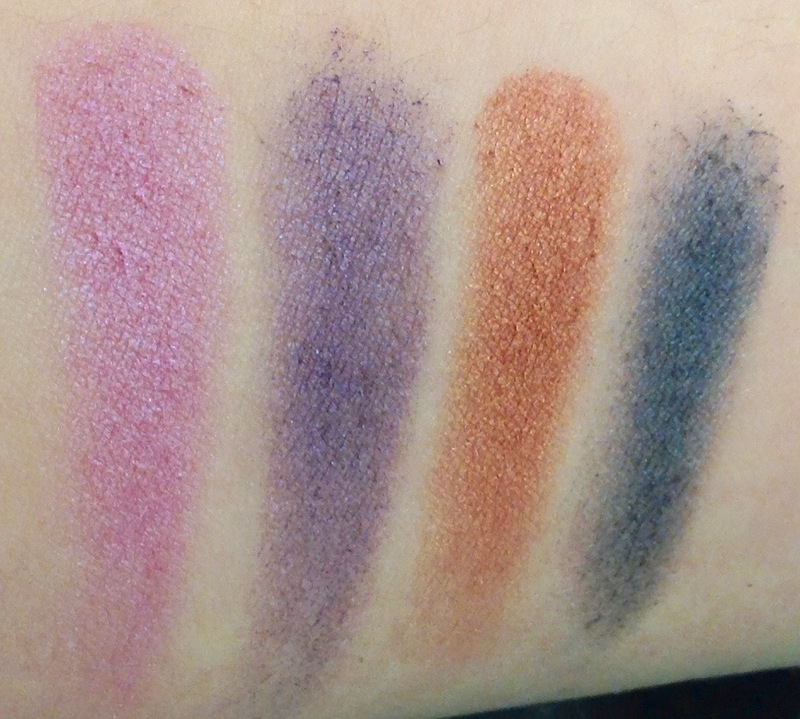 This is the second group of swatches from Anastasia Beverly Hills single eyeshadow line. Previously I swatched all the matte shades from the singles in the permanent line, you can see that post here. Today is the smallest group of swatches, the four duo-chrome shades. The four duo-chrome shades are Electro a light cool-pink with purple reflect, Iridescent Purple a medium to dark cool purple with a slightly lighter purple sheen, China Rose a gorgeous copper-pink with light orange reflect, and Dragonfly a blue teal with green-teal reflect. Of the four shades China Rose was the most pigmented and rich. Electro also had good pigmentation and both Iridescent Purple and Dragonfly needed to be built up more. 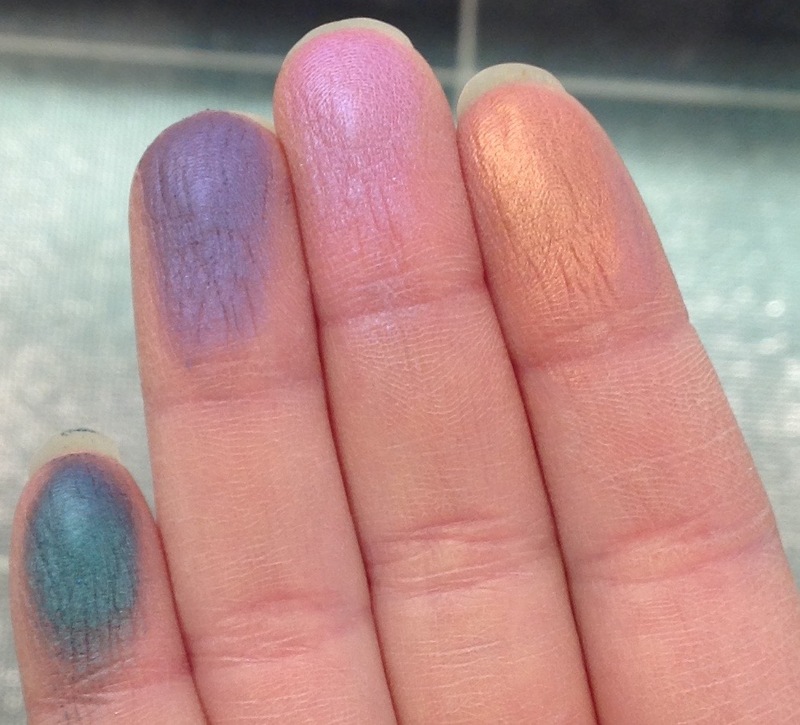 Here are the four shades watched on my fingertips, to give a better idea of the duo-chrome each shade has. Of the four I would highly recommend China Rose, it went on really well in the swatch and had such great pigmentation. None of the shades are ones that are truly unique in the cruelty-free market, (Urban Decay comes to mind. If anyone is interested I can do comparisons at some point) but all are nice shades. Do you have any ABH eyeshadows? Any favourites? Disclaimer: The widget link at the top is an affiliate link. I get a whole 5 cents if you click it. Mainly it's there so you can see the Dragonfly eyeshadow professionally photographed.